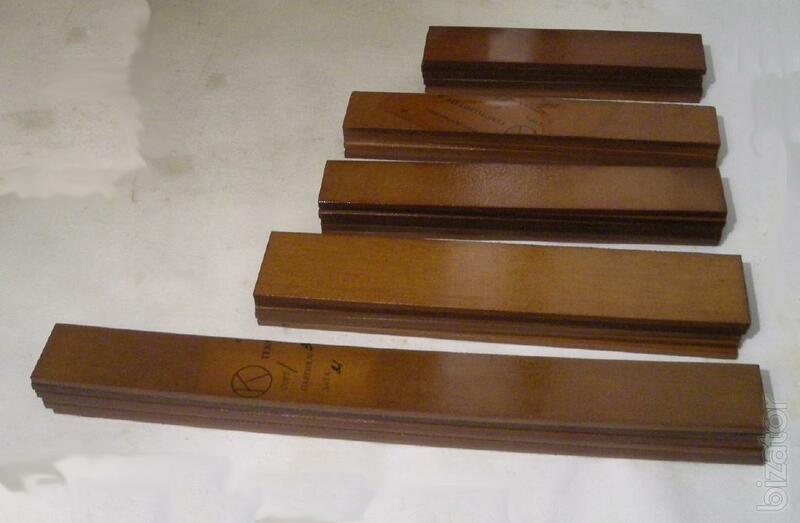 Blade for pump KO-503, TO-505, TO-510 textolite plates for rotary vacuum pump. Paddle pump KO-503, TO-505, TO-510 textolite plates for rotary vacuum pump. is installed in the groove of the pump rotor. When the rotation of pump rotor blades under the action of centrifugal force pressed against inner surface of the housing, thereby sucking the air, and forming, when it vacuum. Blades vacuum pump KO-503, TO-505, TO-510 are arranged inside the pump in the slots of the rotor in the amount of six pieces. Made of oiled PCB PT-6 (1 grade). The blades upon rotation of the rotor in contact with the inner surface the pump body, therefore, wear out and are regularly replaced. To replace worn plates unscrewed the pump cover, the back cover is removed together with the rotor. The blades are checked for damage, washed with gasoline. Often, the blockage leads to the ceasing of the blades in the slots of the rotor.